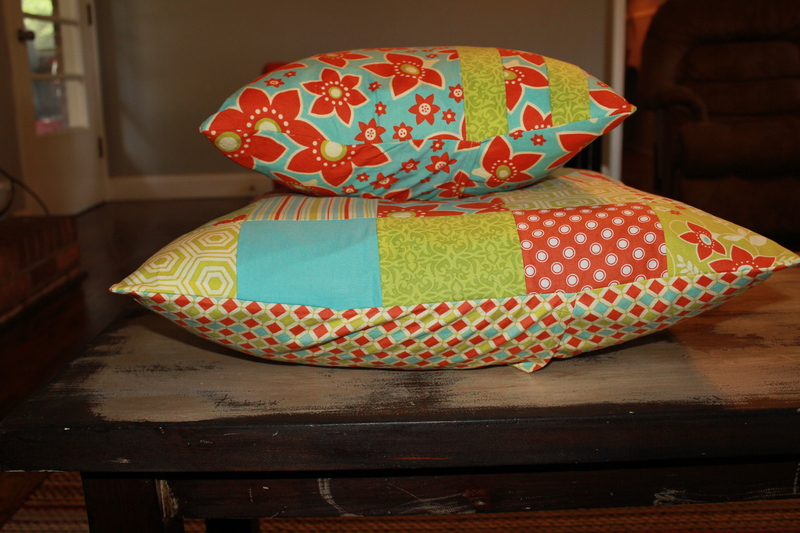 The pillow frenzy is finished for now. 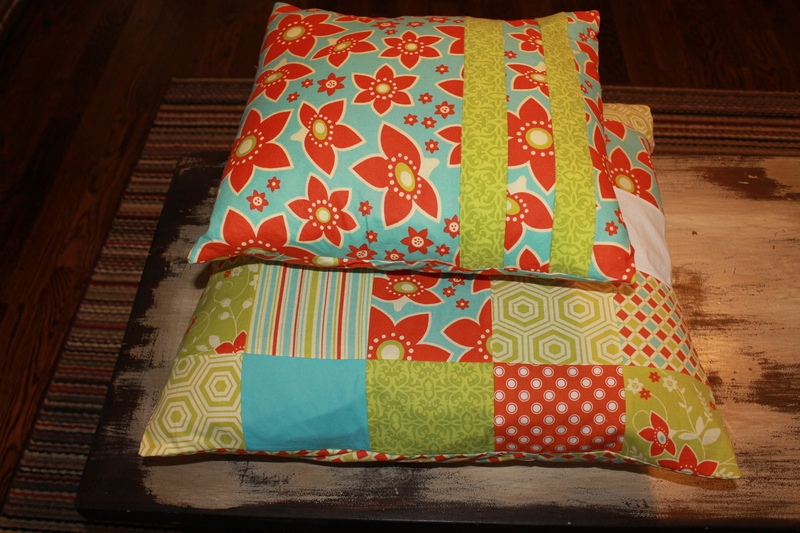 I completed two more pillows and it makes me so happy to sit in my cheery living room! I really wanted to quilt the patchwork pillow above, but time is a little lacking right now, so quick and easy needed to prevail. Therefore I threw it together with another envelope back- so convenient! I may eventually quilt it but for now it is fine. 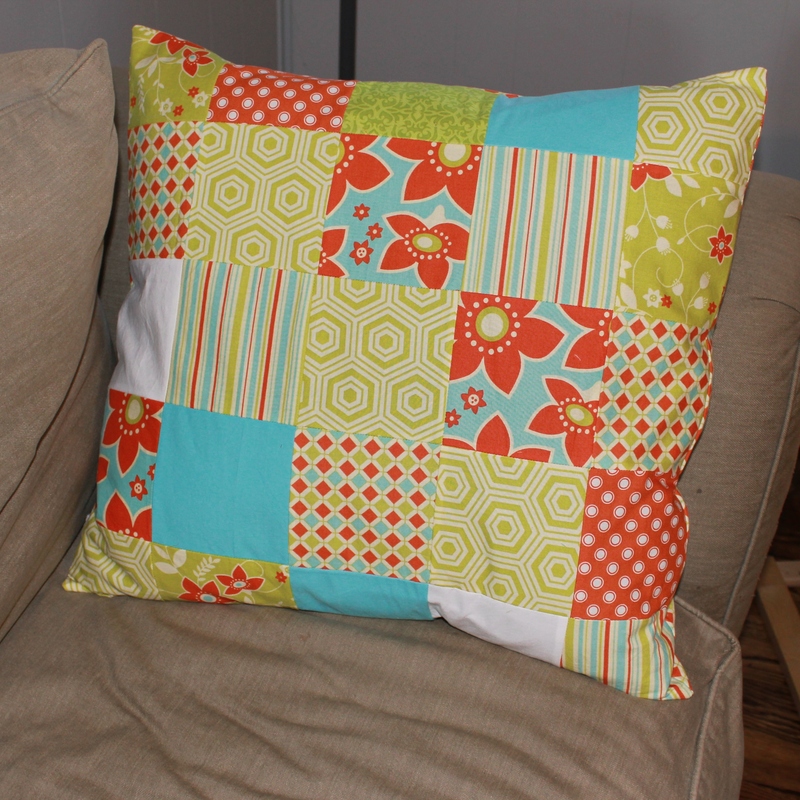 This pillow came with my couch and while it is huge- 23 inches square- it is a fun way to showcase a big design. 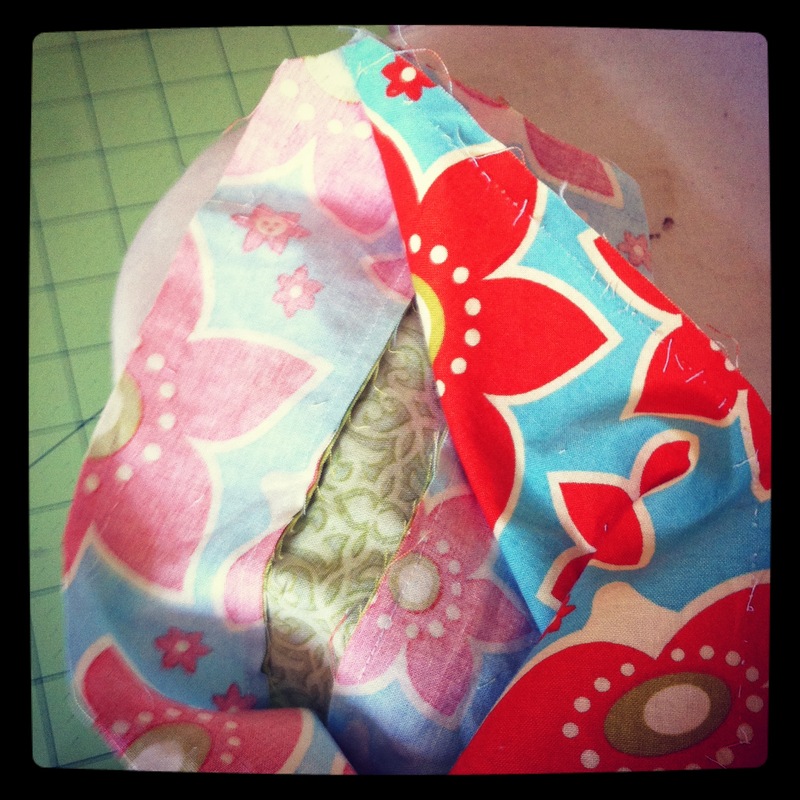 Lest you think my sewing experiences are all happy ones, this is what happens when you are in a hurry and trying to finish before nap time ends- pillow front sewn wrongside to pillow back…enter seam ripper. Oh well, such is the life of the sewist. Next on the agenda, vests for my little nephews in a wedding this May. Hope to have those to show you by Thursday or Friday!